If you run a local business, you know that it’s not always easy to get foot traffic into your store’s physical location. But with local search ads on Google Maps, you can make it easier for potential customers to find and get to your storefront. 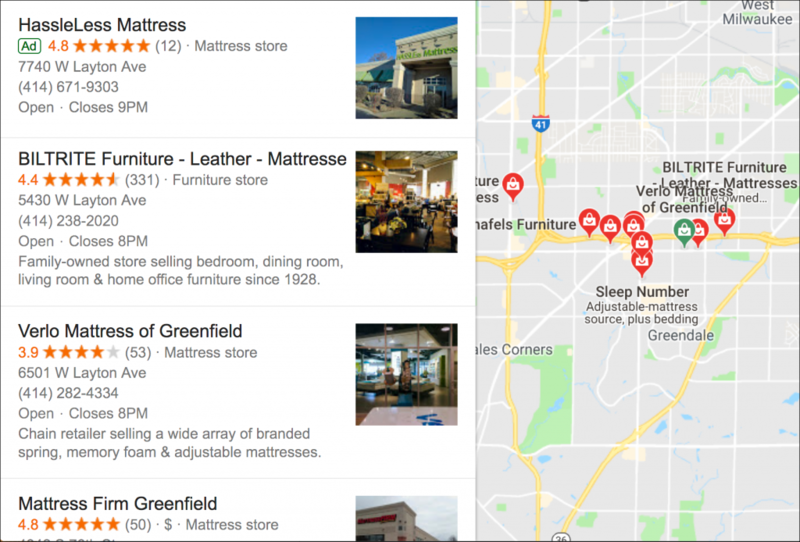 Local search ads may appear when a customer does a search for nearby businesses (for example, “mattress store near me”). The ads show up within the Google Maps app, on the Google Maps mobile, desktop, and tablet sites, and on Google.com Expanded Maps results. With local search ads, your business location can jump ahead of your competitors and be featured at the top of the local results whenever a customer searches for somewhere to eat or shop. By utilizing local search ads on Google, you can drive more foot traffic to your physical location, increase the number of calls your store receives, and help customers learn more about your business. If you are looking to attract nearby customers to your store, contact us today and get started with local search ads.